Congratulations on your recent values award! Enclosed are further details of who nominated you and the reason why. 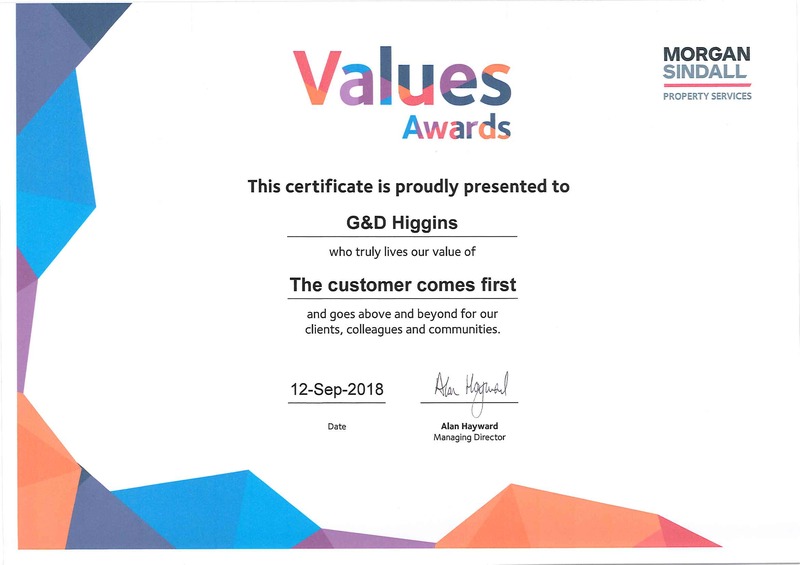 Recognising and rewarding our people is important to me, which is why I would like to reward you with a £25 voucher to say thank you for embracing our company values and for the brilliant job you do for Morgan Sindall Property Services. 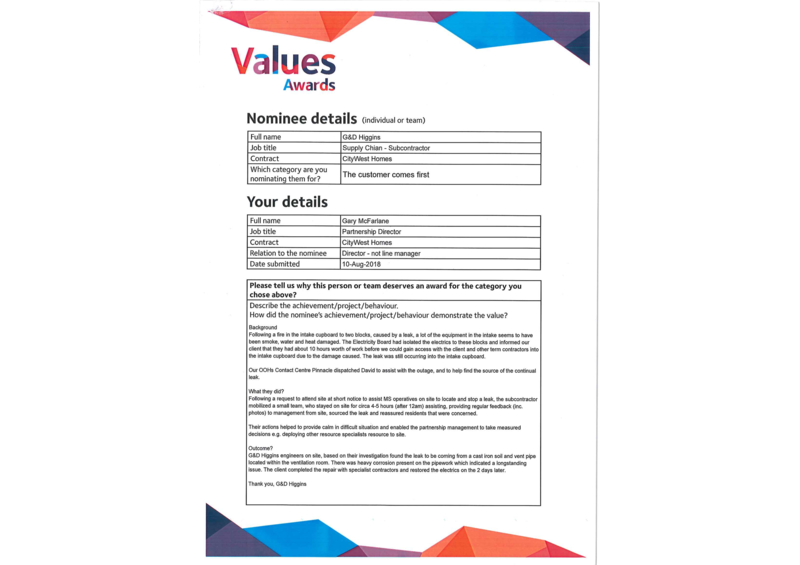 Please find enclosed a values badge representing the award category that you were nominated for. hope you display it with pride! 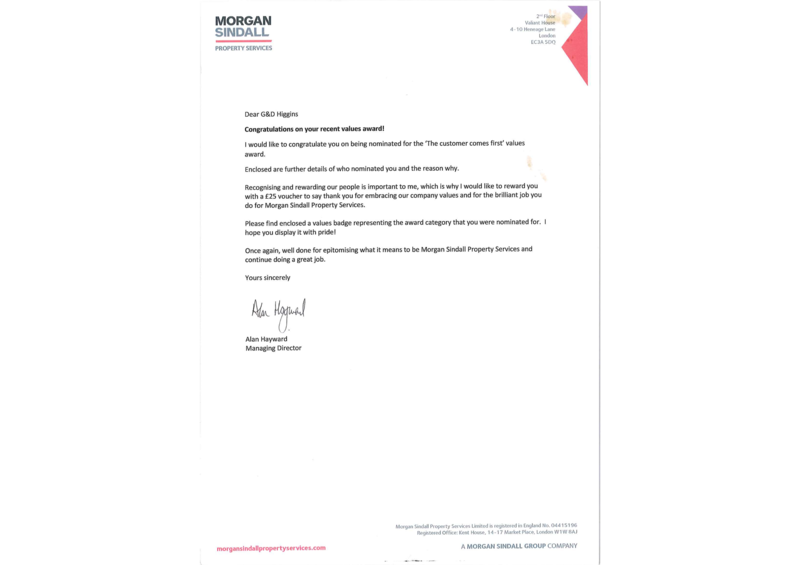 Once again, well done for epitomising what it means to be Morgan Sindall Property Services and continue doing a great job.